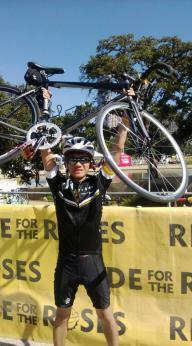 Sammy Tran is packing his bags and stethoscope for medical school. While he was in middle school, Tran’s mother suffered an injury that required daily exercise and topical ointments. Tran set his plan in place. He graduated high school ninth in his class, loaded with extra curriculars, and went straight to the University of Texas at Austin where he earned a Bachelor of Science in Neurobiology. During his time in undergrad, his passion to help others flourished. Tran says his grades ended up below medical school standards. Looking for work in the medical field during the gap in schooling, Tran became an urgent care scribe. He worked his way up to a hiring manager, but the fit wasn’t right. Tran moved into the Information Technology field, working as a support engineer. But he couldn’t let his dream die just yet. That is where ACC comes in. Two-thirds of those credits were taken at ACC. One connection in particular pushed Tran to where he wanted to be. Dr. Rohde served as a reference on Tran’s latest and successful applications for medical school. Tran says this unconventional path helped prepare him for what is to come. 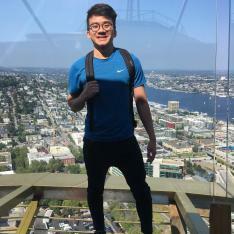 Tran will begin his medical school journey in fall 2019. To explore careers in healthcare, visit austincc.edu/healthsciences.